Mrs. Gong reported she met her husband in Hong Kong, when he went to find a wife. Apparently, he and his brothers had been operating the store earlier. Mrs. Gong stated her husband was born in Merigold. She was 18 when they married and the next day, came to America. However, it was very difficult to decipher the transcript and there are sections that indicate the transcribers were unable to understand what was on the tape. Mississippi Delta Chinese reported the store was still open in 2012, and included a photograph of Mrs. Gong standing in front of it. In the 2000 oral history, she stated she had closed the store when the children went to college. Two of her children went to the University of Mississippi according to her report. She worked 14 hour days from 6:30 a.m. until 8:30 p.m. during the week, and until 11 p.m. on Saturday night. No wonder she wanted to close the store–if she did. I will say that while it did not look abandoned, nor did it appear to be open while we were there. It was dark inside and no sign of anyone in the store. 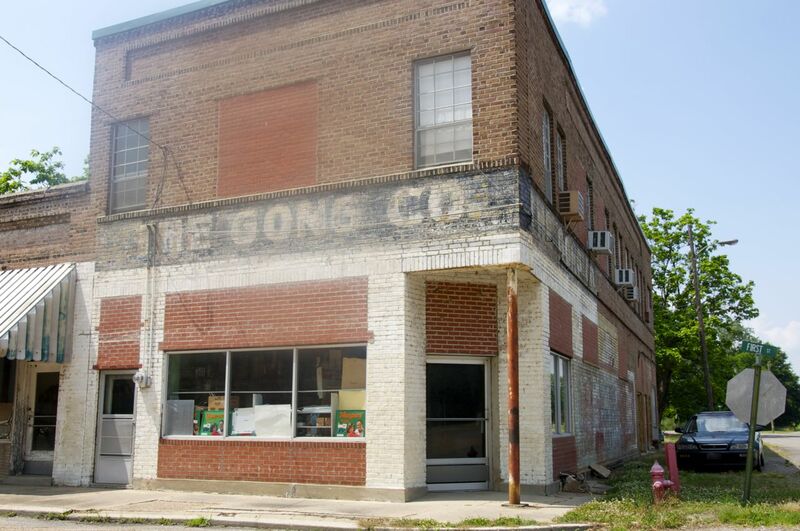 I am unable to read the exact wording that appears on the side of the building which would seem to pre-date the Gong Company. It reads [H, I, or J] [C or G] Thomas Block & Cotton Office. I think the second row is General Merchandise. 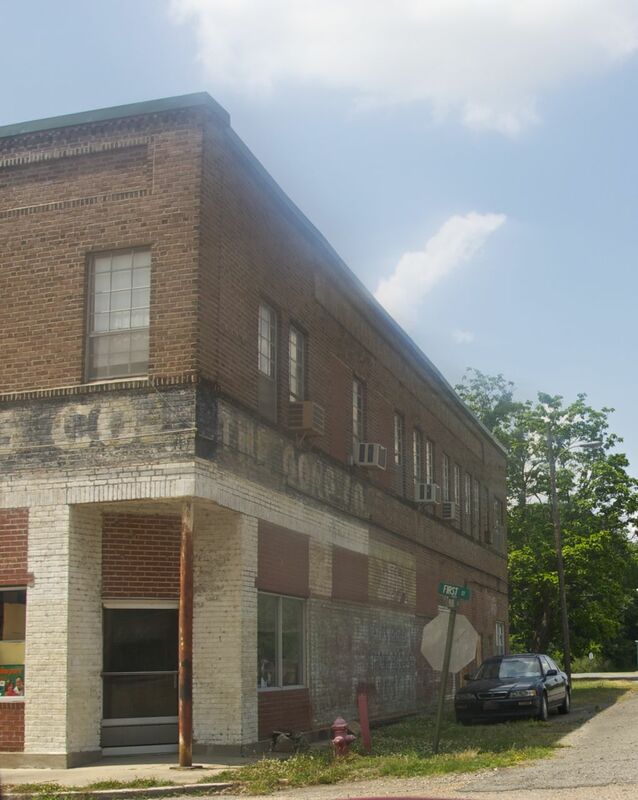 The drop in cotton prices during the time period of the 1920s and on in to the 30s might well have caused a change in the type of business operated in this building. Apparently, Mr. Gong was already a merchant, and doing well enough to travel to Hong Kong to seek a wife by 1959. This entry was posted in Mississippi, Mississippi Delta Towns and tagged Gong Company, Merigold, Mississippi. Bookmark the permalink.